R1234yf is the new low GWP refrigerant gas for the automotive industry, replacing R134a in new car air conditioning systems. Climalife is a major supplier of R1234yf to the UK and worldwide. Climalife is an approved and trusted supplier of refrigerant gasses and we are dedicated to helping you trough the transition to low GWP refrigerants. To keep moving to lower GWP and achieve the phasedown targets of F-Gas through to 2030, it will be necessary to use much lower GWP refrigerants. 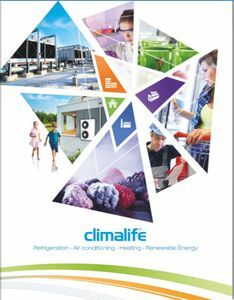 Climalife is one the UK’s leading distributors of low GWP refrigerants, including HFO blends and the new A2Ls on the market, car air conditioning refrigerants, such as R1234yf, heat transfer fluids (glycols), compressor oils and cleaning products to the Refrigeration, Air Conditioning, Heating and Renewable energy sectors. Climalife in the UK is a wholly owned subsidiary of the Dehon Group who are one of the largest packers and fillers of refrigerants in Europe. With operations across Europe further details can be found at www.climalife.dehon.com. We serve contractors, installers and wholesalers across the commercial, industrial refrigeration and air conditioning sectors via a nationwide network of stock points, with next day delivery available across the UK. Climalife in the UK work with many of the global producers of refrigerant and are distributors of Chemours™ OPTEON series and Honeywell® SOLSTICE range of low GWP refrigerants. Climalife stock and offer valuable expertise on the new very low GWP A2L refrigerants. 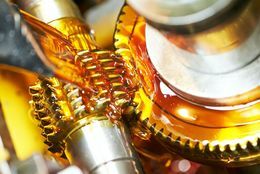 In addition to a wide range of HFC common refrigerants we also supply from stock Ammonia, CO2, Nitrogen, a wide range of compressor oils, Heat Transfer Fluids, Cleaning products, Carel control valves and Bacharach leak detection equipment. Climalife are also specialists in providing a waste management service with a dedicated cylinder fleet for recovery, reclamation and destruction of refrigerants. Climalife UK is acknowledged and well respected within the industry for its technical expertise and product support services. With over 140 years of combined relevant industry experience, our team of experts look forward to receiving your enquiry. 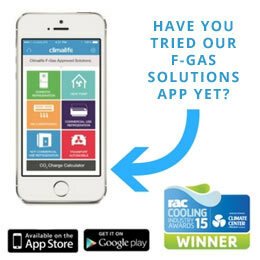 Have you downloaded our F-Gas Solutions App? With European regulation 517/2014 or "F-Gas II" now in force, download the new FREE Climalife app: F-Gas Solutions. It's simple to use and here to help you! View the Climalife online product catalogue for our wide product range. Can't find what you need? Give us a call on 0117 980 2520.